Two research groups have discovered that the growth of an intractable type of lung cancer in mouse models can be restrained with a class of drug known as kinase inhibitors. Both studies also identified FDA-approved kinase inhibitors that successfully curtailed lung tumor growth in several mouse models, pointing to new therapeutic avenues for a form of lung cancer that currently has few effective treatments. Lung cancer is the deadliest form of cancer in both men and women, accounting for more than 1.5 million deaths each year around the world. One third of lung adenocarcinomas – one of the most common lung cancer types – are associated with mutations in the KRAS gene. This gene codes for a protein that normally regulates the growth and division of cells, but when it is mutated it can promote uncontrollable cell growth and tumor formation in a way that is assumed to be resistant to kinase inhibition. 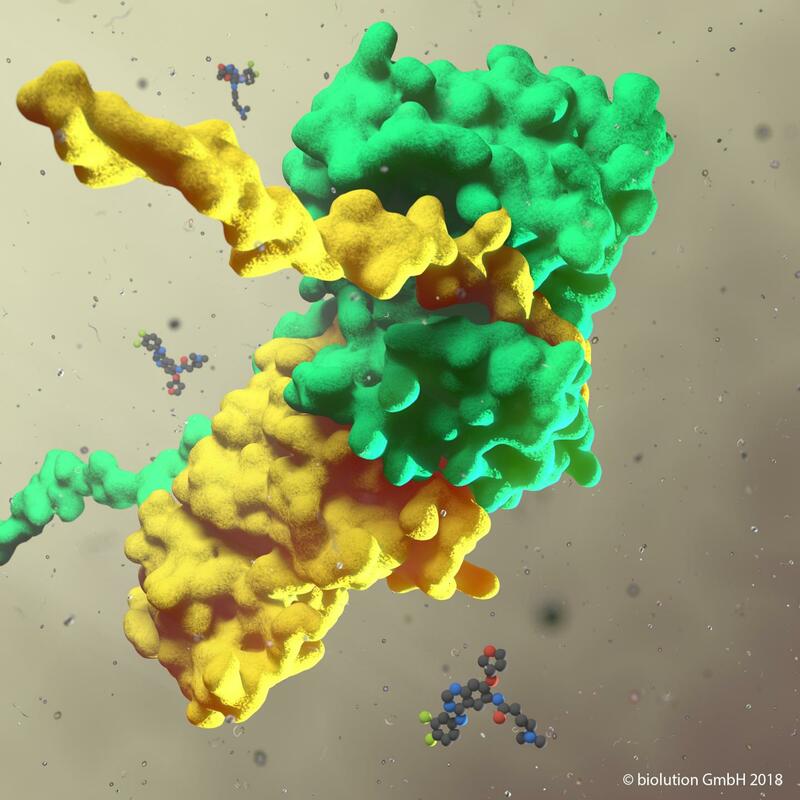 Despite extensive research, there are no existing therapies that effectively target mutated KRAS proteins, highlighting a pressing need to develop alternative strategies. Björn Kruspig and colleaguesshowed that the progression of KRAS-driven lung tumors hinges on the activity of multiple proteins known as ERBB receptor tyrosine kinases (RTKs), which supported proliferation of tumor cells. They also found that inhibiting ERBB RTKs extended survival times in a mouse model of lung adenocarcinoma. In a similar study, Herwig Moll and colleagues discovered that activation of a signaling pathway called EGFR, an ERBB family member, also promotes KRAS tumor growth, and found that administering an FDA-approved ERBB inhibitor named afatinib to mice with lung cancer inhibited KRAS-driven lung tumor growth. The findings of both groups suggest that kinase inhibitors could serve as a potential treatment strategy for human patients with this hard-to-treat malignancy.